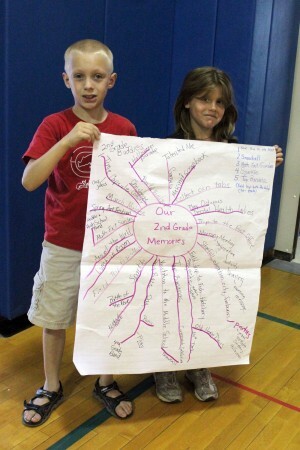 June 22 marked the end of the 2011-2012 school year and the beginning a new, reconfigured Altmar-Parish-Williamstown Central School District. Parish Elementary School third grade students Autumn Baum, left, Lilly Sweeney, second from left, Brianna Fields, and Ben Ostrander along with their Principal, Michael McAuliff, model the new Altmar-Parish-Williamstown Elementary School t-shirts. Altmar and Parish Elementary School each culminated the event with a program honoring the past and the present as well as celebrating the future. During each school’s respective program students were recognized for their academic success with certificates of achievement and every fourth grade student was presented with a new dictionary. Each school’s parent organization funded the dictionary purchases and coordinated the distribution with staff members to personalize each student’s dictionary with a message of thanks, remembrance and/or encouragement. 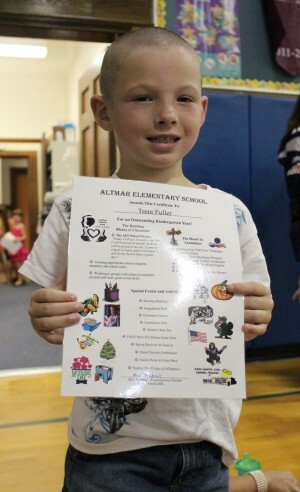 Altmar Elementary School kindergarten student Trent Fuller was recognized for an outstanding school year with a commemorative certificate presented during his school’s farewell and celebration program. At Altmar Elementary School the program also included a “Top Fantastic 5” segment where each classroom shared their top five memories and favorite things about the school year and the school. At Parish Elementary School Principal Michael McAuliff wrapped up the program with a gesture that captured his excitement for the future. He pulled out a new APW Elementary School T-shirt and modeled it for the audience. In the fall of 2012, all elementary school students in the district will attend the combined Altmar-Parish-Williamstown Elementary School at the current APW Middle School location on County Route 22. 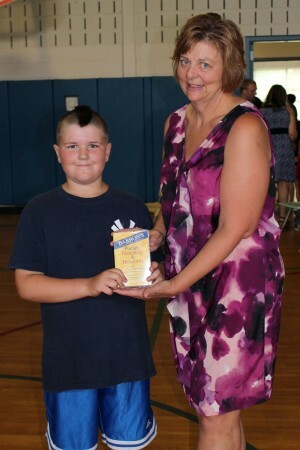 Tim Trumble, a fourth grade student at Parish Elementary School accepts a dictionary from Music Teacher Michele Catania on the last day of the school year. Each fourth grade student in the APW School District was presented with a new dictionary during the end-of-year celebrations at each respective elementary school building. Altmar Elementary School students Shane Cast and Destany Ingersoll from Amy Healy’s second grade class share some of their favorite memories during the school’s farewell ceremony. 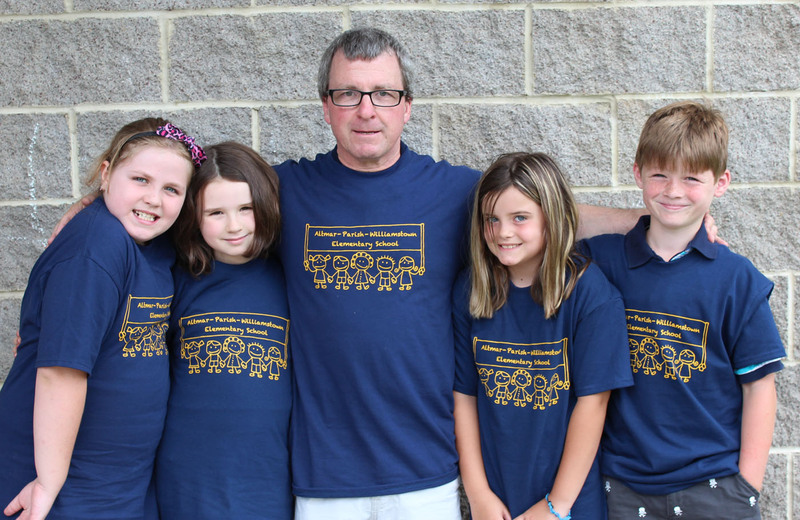 The memories were shared during a “Top Fantastic 5” segment that was part of Altmar’s farewell and celebration program held on the last day of the school year.